Ah spring is in the air. Finally, the calendar only has a handful of days left until the momentous occasion. 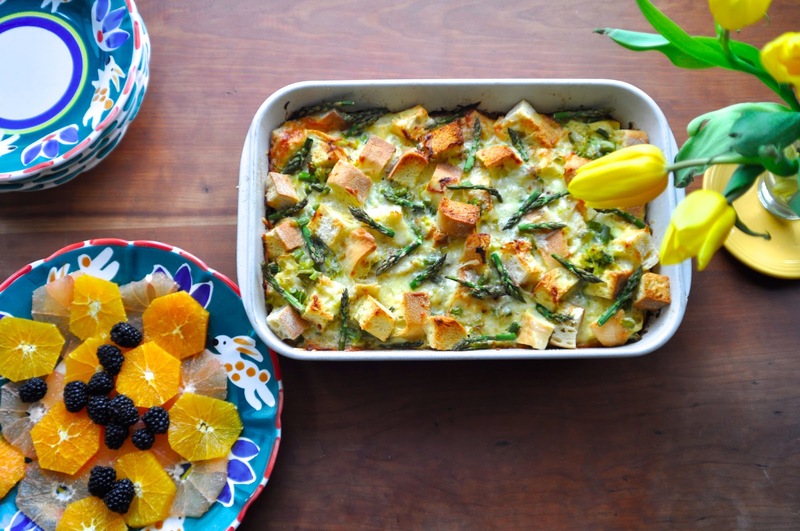 Last week, I shared a simple recipe for a perfect spring brunch on Say Yes to Hoboken. There is something about the season of daffodils and pretty dresses that makes me want to invite friends over, open the windows, and celebrate. 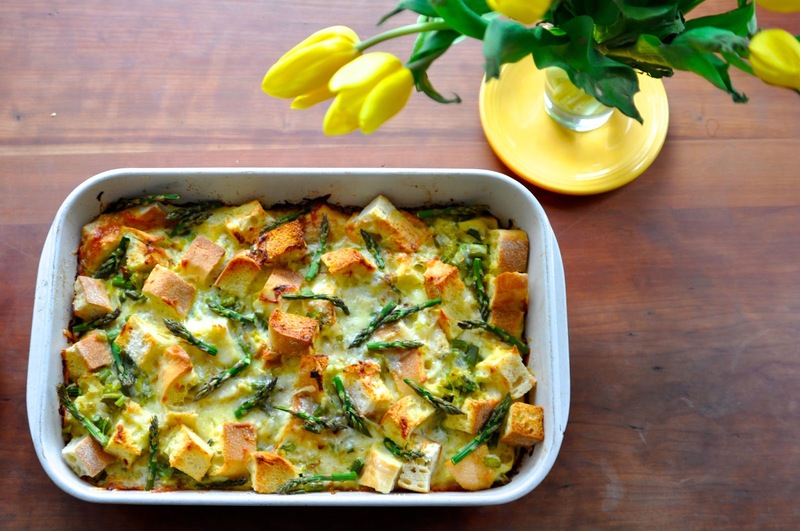 This strata is essentially a savory bread pudding baked with bright green asparagus, leeks, and nutty Gruyere. I served it with sliced grapefruit, oranges, and blackberries although almost any fruit combination would be perfect. Click over to visit Liz for the full recipe - Happy Spring!